In the introduction to this remarkable book, Mary Gordon is riding in a taxi as the driver listens to a religious broadcast, and she reflects that, though a lifelong Christian, she is at odds with many others who identify themselves as Christians. In an effort to understand whether or not she had “invented a Jesus to fulfill my own wishes,” she determined to read the Gospels as literature and to study Jesus as a character. What results is a vibrantly fresh and personal journey through the Gospels, as Gordon plumbs the mysteries surrounding one of history's most central figures. In this impassioned and eye-opening book, Gordon takes us through all the fundamental stories—the Prodigal Son, the Temptation in the Desert, the parable of Lazarus, the Agony in the Garden—pondering the intense strangeness of a deity in human form, the unresolved more ambiguities, the problem posed to her as an enlightened reader by the miracle of the Resurrection. What she rediscovers—and reinterprets with her signature candor, intelligence, and straightforwardness—is a rich store of overlapping, sometimes conflicting teachings that feel both familiar and tantalizingly elusive. It is this unsolvable conundrum that rests at the heart of Reading Jesus and with which Gordon keeps us in thrall on every page. MARY GORDON is the author of six novels, including "The Company of Women, Final Payments, "and "Spending"; the memoirs "The Shadow Man "and "Circling My Mother; "and a collection of short stories. She is the recipient of a Lila Wallace-Reader's Digest Writers' Award, a Guggenheim Fellowship, and the 1997 O. Henry Award for best story. She teaches at Barnard College and lives in New York City. 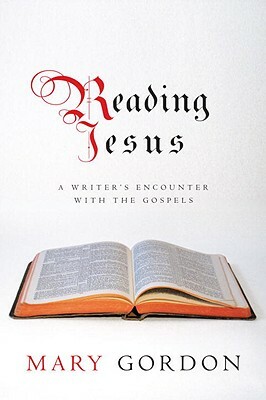 Advance Praise for Reading Jesus"A fresh and humane take on the Gospels. Gordon's approach is aware of, but not burdened by, doctrine. Her many insightful questions give expression to thoughts which have, for many readers and for many years, been waiting to be asked aloud." "Gordon tackles the power and puzzle of the Christian gospels with measure and imagination, providing welcome relief for those left cold by scholarly or fundamentalist parsing . . . Her savoring of particular lines is poetic and amplifies the beauty and sometimes ambiguous challenge of the language, stories, and injunctions of the gospels." Praise for Circling My Mother"What's inspiring about Circling My Mother is Gordon's deeply personal portrayal of her mother . . . a woman in full belief of the love of God . . . Accompanying the author while she comes to terms with her is thrilling." "Everywhere she looks, Gordon finds the same mix of life and strife, beauty and decay. There's no escaping the fact that one way or another, we lost what we hold dear. But remembrance is preservation. Art, we believe, immortalizes. Gordon's encircled portrait of her mother is a daring and perceptive work or memory, catharsis, and literary grace." "Both wrenching and enlivening, resonant with candid emotion."